PUEBLO – Engineering students from Colorado State University-Pueblo have earned two of the top scholarships offered by the American Council of Engineering Companies of Colorado. The awards were presented at a scholarship reception Thursday, March 30 at the Lakewood Country Club, where students had the opportunity to meet and network with ACEC Colorado-member firm principals and employees, as well as to learn more about consulting engineering. The ACEC Colorado Scholarship Committee awarded $37,500 in scholarships to students in engineering programs for the 2017-18 academic year. The following CSU-Pueblo students will earn $11,000 in scholarships from the $37,500 total. The scholarships require students to be pursuing a bachelor’s degree from a university engineering or engineering technology program in Colorado that is accredited by the Accreditation Board for Engineering Technology (ABET), be a junior, senior or a fifth-year senior in a five-year program, as of the fall of the next academic year, and have an understanding of the consulting engineering profession. Students from the following schools also received scholarships: Colorado School of Mines (3), CSU-Fort Collins (4), University of Colorado-Boulder (1), Metropolitan State College of Denver (1), UCCS (1), University of Denver (1). 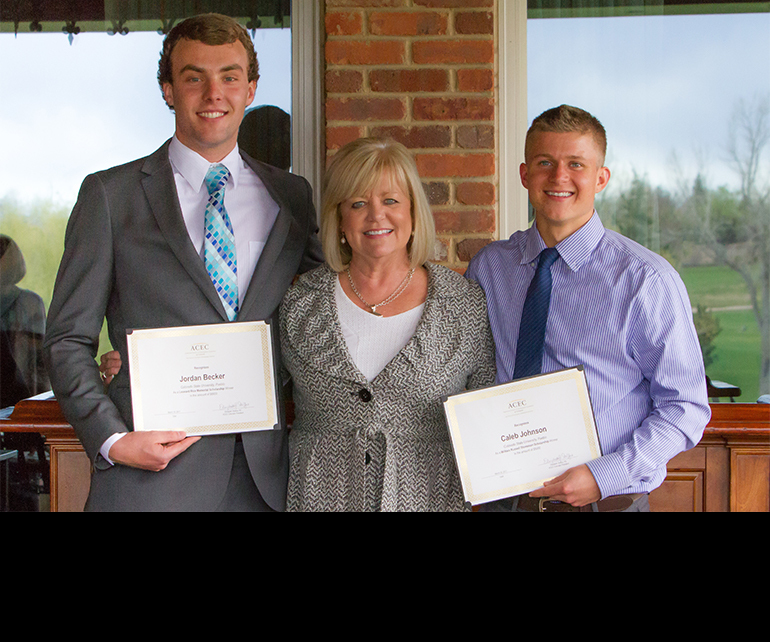 The ACEC Colorado Scholarship Program is supported by funds raised through its annual golf tournament, as well as corporate and individual contributions. ACEC Colorado (www.acec-co.org) is the business association of more than 230 member firms employing approximately 11,500 employees in the independent private practice of consulting engineering. The organization is a primary resource for accessing engineering information, expertise, and business ethics practices. ACEC Colorado provides leadership and direction by developing practical, feasible options and solutions based on technical collaboration to achieve enduring outcomes to benefit society.